I couldn’t make it through Lent without sharing our favorite pizza dough recipe. This is our go-to for pizzas, calzones and anything of the like. It’s fantastically easy and really delicious. 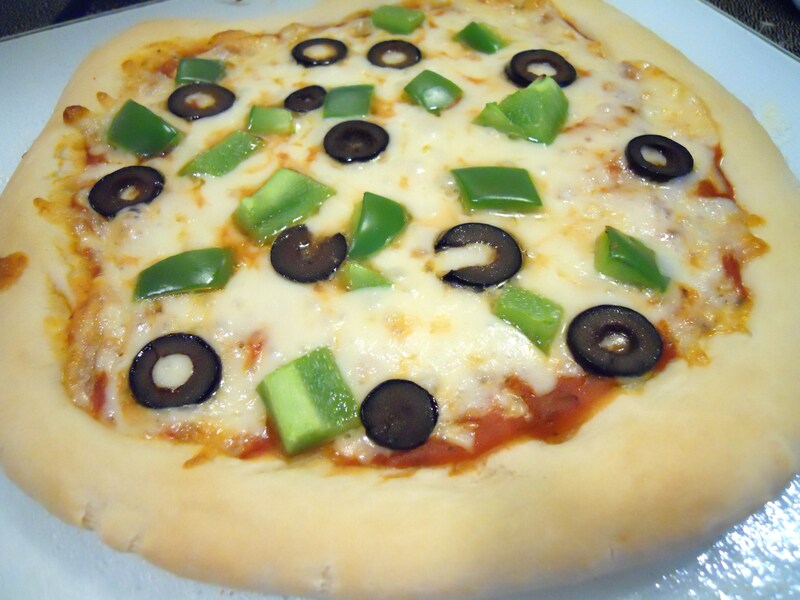 Because this recipe is so versitle, I didn’t include cooking directions with the recipe – it can easily be subbed for refrigerated pizza dough in any recipe. We generally bake them on a pizza stone at 350F degrees for 15-20 minutes until lightly brown. We generally make our pizzas personal-sized so that we can each top them the way we want. This recipe makes four small pizzas with roughly a 10″ diameter. In the interest of meatless Fridays, we topped ours with veggies this time – ham and pineapple and pepperoni, onions and peppers are also favorites! In a large bowl, combine water and yeast. Let sit for 2 minutes. Add in oil, salt and honey and stir. Let sit for 5 minutes. Add the flour mixture and knead until the dough ball begins to stick together. Place the dough in a lightly greased bowl and cover. Allow to rise for 30 minutes until the dough is doubled in size. Turn out onto a lightly oiled surface and divide into four equal peices. Roll out as desired.